A fake pledge has left indie developer 2Awesome Studio with nothing to show for its Kickstarter campaign but a broken heart. 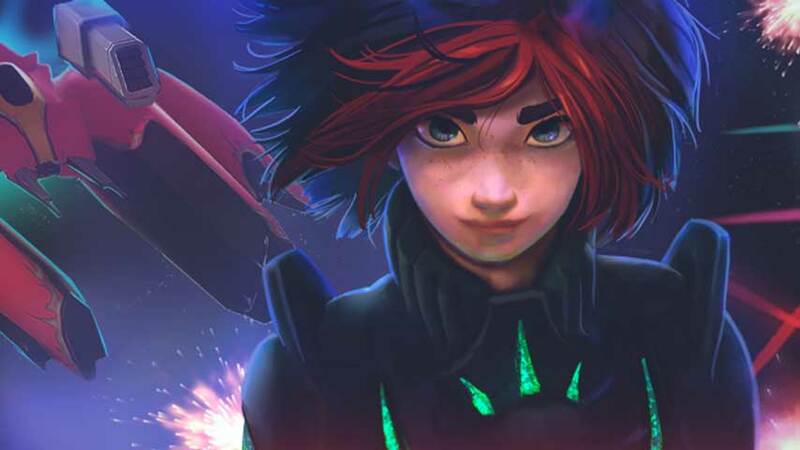 2Awesome Studio turned to Kickstarter to raise €30,000 for Dimension Drive, a comic book-styled space adventure with a really interesting-sounding teleport mechanic, which has players battling in two worlds at once. With just a few hours left on the clock, the project was about €7,000 short of its goal when a generous single backer pledged the full remaining amount, bringing it across the line. 2Awesome was naturally overjoyed. Unfortunately, it wasn’t long before Kickstarter informed the team that they weren’t home and dry after all. In addition to just being flat out mean to play with emotions like this, the fake pledge may have discouraged fence-sitters from pledging, or existing backers from upping their pledges, because they believed the project was funded. The fraudulent pledge was cancelled just half an hour before the campaign ended, leaving little time for others to fill close the gap. As a result, the campaign was unsuccessful, meaning 2Awesome won’t see a cent of the money backers offered to the project. In the wake of this event, the team’s devastation is obvious. This is just not cool. Hopefully 2Awesome will shake off its blues and turn to alternate funding options, as I’m sure there’ll be plenty of potential new backers alerted to this genuinely interesting-looking game in the wake of this last minute upset.